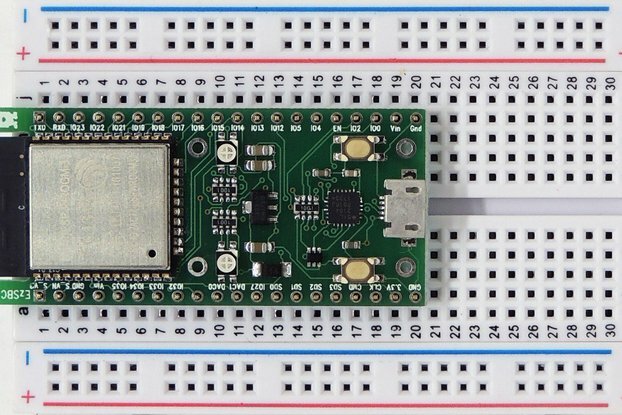 The LS3 level shifter and converter is a small module that allows a 3.3V or 5V microprocessor such as an Arduino to drive 12V signals and shift 12V signals down to 5V or 3.3V. 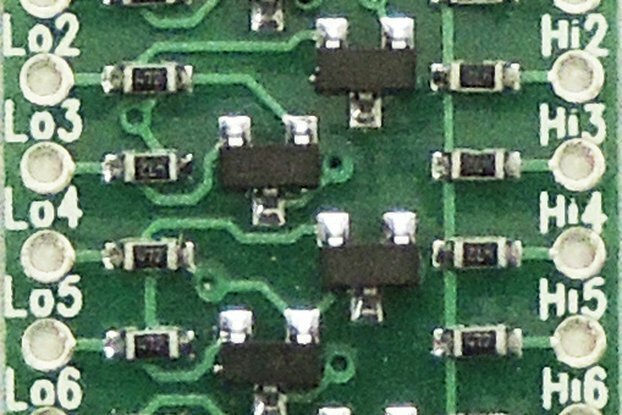 This level converter has two supply voltages, one on the left side of the module and one on the right hand side of the module. The left hand side of the module has the low voltage pins and the right hand side has the high voltage pins. Input signals connected to the left side of the LS3 appears on the right hand side at the level of the right hand side power supply. Input signal from the right hand side appear on the left hand side at the level of the left hand side power supply. Each LS3 module can convert or buffer 6 signals in each direction. 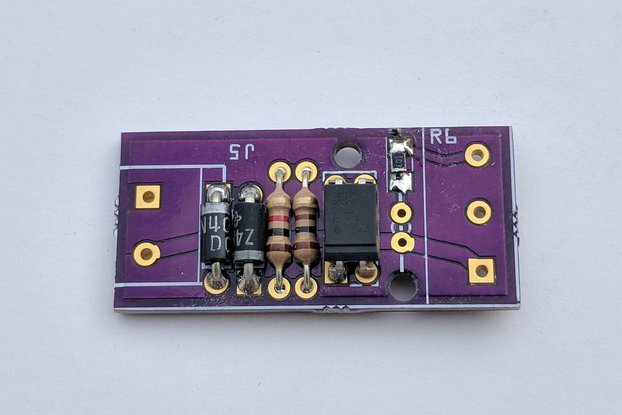 The LS3 is intended to allow a low voltage microprocessor to drive and receive higher voltage signals. 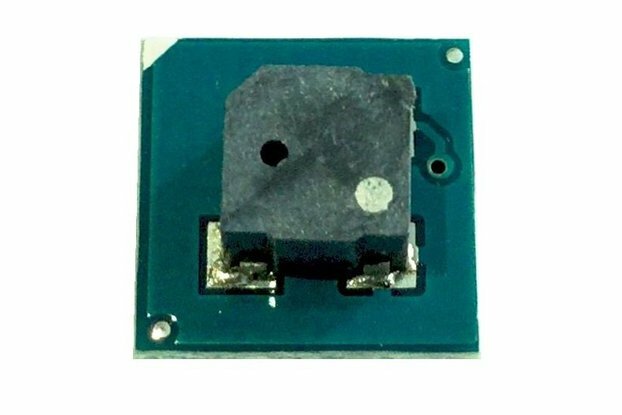 The left side of the module (low voltage side) is connected to the same supply as the micro and the right and side is connected to the higher voltage. The right hand side voltage can be anywhere from 3V to 15V. The left hand side voltage can be between 3V and 5V. 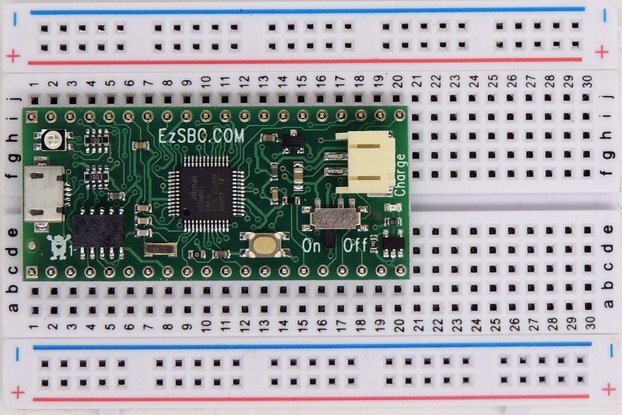 A common use for the LS3 is to provide an Arduino with 12V or 15V signal handling capability. Bread board friendly! 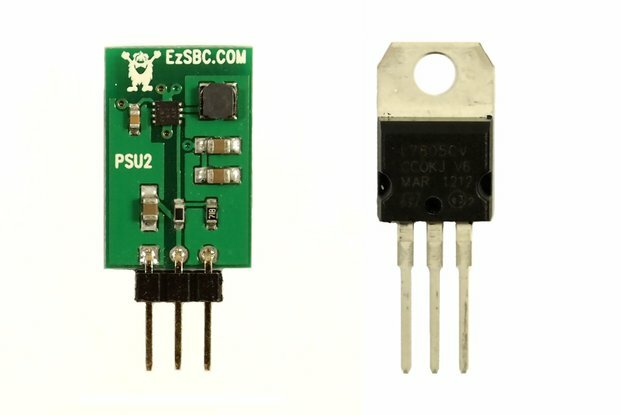 The LS3 has pins on a 0.1" pitch and the rows are 0.6" apart, just like wide DIP IC's. Each LS3 has 28 pins and can fit in a standard 28 pin wide dip socket. 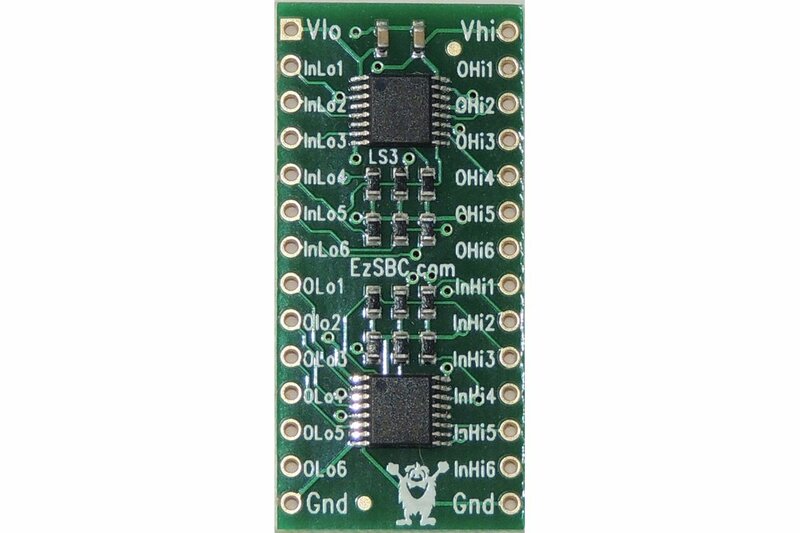 The LS3 can be used with normal serial, SPI and any other digital signals. The LS3 is designed for converting digital signals and does not work with analog signals. The inputs have 500k resitors to ground and unused inputs may be left unconnected. When the input is not driven high the corresponding ouput pin will be low. The output swings close to ground and close to the output voltage level. The level shifter is very easy to use. The board must be powered from the two voltages sources (high voltage and low voltage) that your system is using. High voltage (12V for example) to the 'Vo' pin, low voltage (5V for example) to 'Vi', and ground from the system to the 'GND' pins. Pins are labeled as InLo1..InLo6 and OHi1..OHi6 and InHi1..InHi6 and OLo1..OLo6. 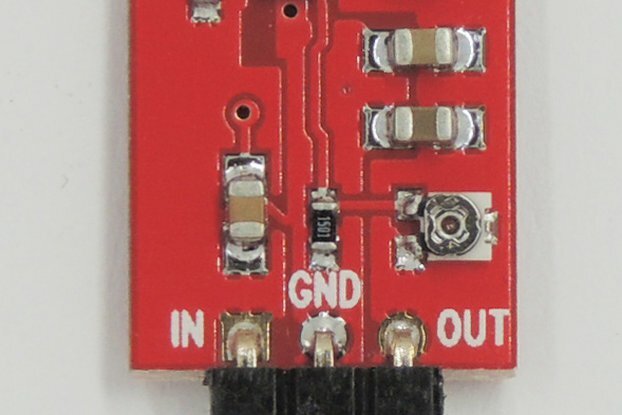 A digital one going to the InLo1 pin on the lnput (5V) side will show up on the OHi1 pin on the Output (12V) side as 12V. 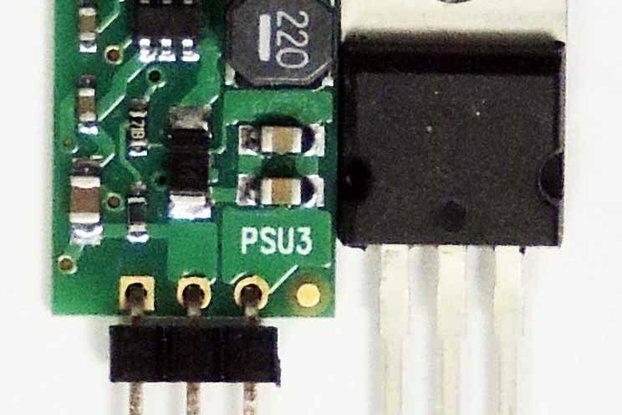 A high signal driving the InH11 pin will show up on the OLo1 pin at the low voltage supply level. The input voltage may be any voltage from 3.3V to 18V and the ouptut voltage may be any voltage from 3.3V to 18V Unused pins will be pulled low. As an added bonus the LS3 contains two 100nF capacitors to decouple the Vin and Vo power supplies. 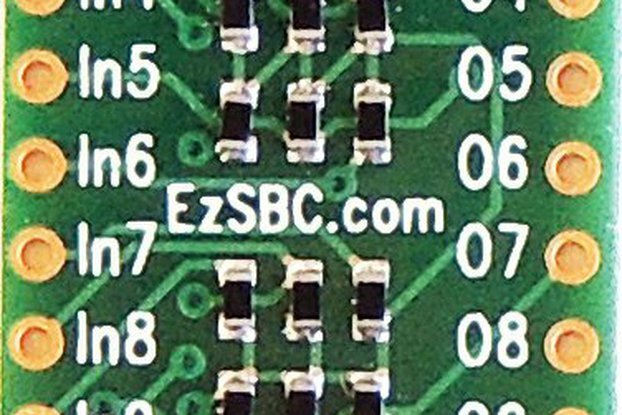 To prevent breakage and to save on shipping costs the pins will not be soldered to the PCB.The pins are round, machine pins and are gold plated. The LS2 also listed on Tindie provides 12 signals in one direction only.